Assimakis advises on questions of EU and Greek competition law, EU business regulation, international arbitration, litigation and private international law. He has argued both of the only two competition preliminary reference cases to the European Court of Justice (ECJ) from Greece. 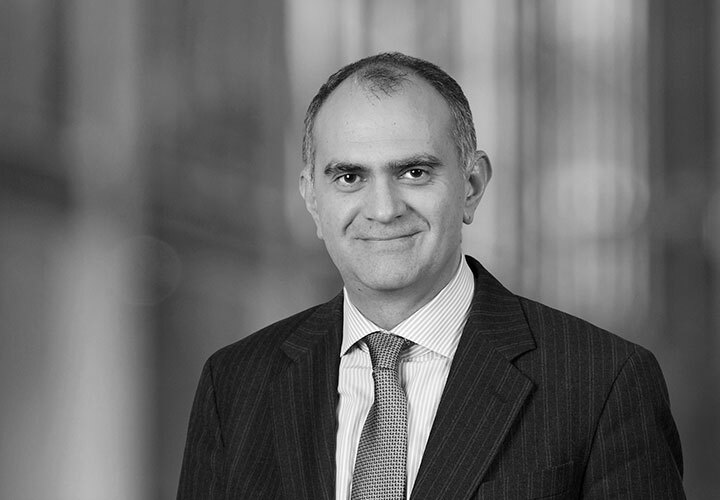 His practice focuses on complex cases of abuse of dominance, restrictive agreements and merger notifications, and he represents clients before the European Courts, the European Commission, national competition authorities, national courts and international arbitration tribunals. Clients look to Assimakis for his proven track record and his ability to combine quietly resolving the most sensitive and complex investigations with aggressively litigating to achieve the necessary results. Chambers Global 2014 notes that he has "extensive experience and a deep understanding of competition law and economics." Assimakis has acted before the ECJ in Syfait v. GlaxoSmithKline and Lélos v. GlaxoSmithKline (parallel trade of pharmaceuticals - abuse of dominance), and in GlaxoSmithKline Services v. Commission (parallel trade of pharmaceuticals - Article 101). He has also been involved before the EU General Court in Microsoft v. Commission (compulsory licensing of interoperability information), GlaxoSmithKline Services v. Commission (parallel trade of pharmaceuticals - application of Article 101), Chalkor Metal Works v. Commission (copper plumbing tubes), Public Power Corporation v. Commission (Greek lignites), EAEPC v. Commission (rejection of a complaint), representing GlaxoSmithKline, and Google v. Commission (Google Shopping), representing the Computer & Communications Industry Association (CCIA). He also successfully represented Aegean Airlines in Aegean/Olympic II, which resulted in the European Commission clearing the deal in a Phase II proceeding. This was the first time that the Commission cleared a merger after it had previously prohibited it. Assimakis has represented clients with excellent results in proceedings before the Albanian, Cypriot, French, Greek, Kosovo, Romanian and Russian competition authorities and Belgian, Bulgarian, Cypriot, French, Greek, Latvian, Spanish and Russian courts. 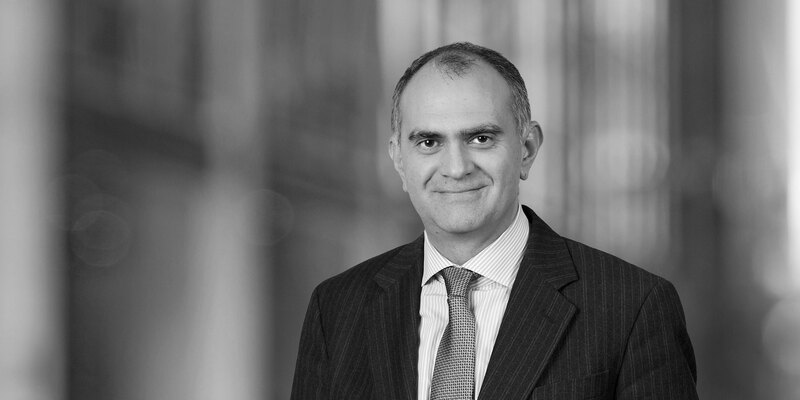 He has particular experience in arbitration cases involving EU and national competition issues, and in private antitrust litigation cases in national courts. Notable clients include GlaxoSmithKline, Pfizer, Nestlé/Nespresso, and Coca-Cola HBC. Assimakis is a former Commissioner and Member of the Board of the Hellenic Competition Commission (HCC). Assimakis is currently a visiting fellow of the Centre for Law and Governance in Europe at University College London (UCL), a member of the Executive Committee of the Global Competition Law Centre (GCLC) at the College of Europe and a senior associate fellow of the Institute for European Studies (IES) at the Vrije Universiteit Brussels (VUB). He is a prolific writer on legal matters and often gives speeches and seminars on EU competition law, arbitration and Greek law, and is a non-governmental advisor to the International Competition Network (ICN). In a first for EU merger control, Assimakis achieved a significant success for Aegean Airlines before the European Commission, which cleared the Greek carrier's proposed acquisition of its rival Olympic Air. This was the second time the two companies had tried to merge, following Olympic/Aegean I, when the Commission prohibited the transaction. Assimakis, who co-led the team which handled the transaction, demonstrated his skill in dealing with one of the most challenging Phase II merger cases. Assimakis successfully advised a major pharmaceutical company in an excessive pricing case. Assimakis represents major technology companies in abuse of dominance investigations before the European Commission and the European Courts. Assimakis represented an international company active in mobile telephony in an EU merger Phase II filing. Assimakis advised a major energy company on questions of EU unbundling legislation and on EU merger rules in a Phase II case. Assimakis represented a major international company active in the coffee market in abuse of dominance proceedings, as well as in litigation in national courts and competition authorities. Assimakis successfully represented a number of Greek casinos before the EU General Court, in an appeal against a European Commission State aid decision. Assimakis represents a major Greek mobile telephony company in abuse of dominance (margin squeeze) proceedings before the Hellenic Telecommunications and Post Commission (EETT). Assimakis represented a major company active in the soft drinks and milk markets before the Greek, Bulgarian, Cypriot and Romanian authorities and courts. Assimakis has advised sovereign and corporate clients on the Eurozone crisis and on Euro-exit risks. Assimakis has worked in a number of major ICC arbitration cases involving EU competition law, notably in paramedical products, liquefied natural gas and digital TV services. Assimakis successfully represented an industry association in an information exchange investigation before the HCC, which was closed with a commitments decision. Assimakis successfully represented a company active in the cement industry before the Kosovo competition authority, in the first ever abuse of dominance proceeding. The company was acquitted. Assimakis successfully represented a company active in the cement industry before the Albanian competition authority. Full acquittal was attained. Assimakis has conducted a number of EU competition compliance audits for major companies in the construction materials, cosmetics and food and drinks markets. Assimakis has advised companies active in car rental services in cases involving airports' excessive pricing practices. He successfully represented a major car rental operator in a complaint against an airport before the Cypriot Competition Commission. Assimakis has represented companies in complaints before the European Commission against EU Member States on State aid or freedom of establishment grounds. How prepared is industry for the possibility of Brexit?